According to the IPCC , we are less than 12 years away from not being able to undo our mistakes. In that time, unprecedented changes in all aspects of society need to have taken place, including a reduction of our CO2 emissions by at least 50%. And please note that those numbers do not include the aspect of equity, which is absolutely necessary to make the Paris agreement work on a global scale. Nor does it include tipping points or feedback loops like the extremely powerful methane gas released from the thawing Arctic permafrost. Potential additional carbon release from future permafrost thawing and methane release from wetlands would reduce budgets by up to 100 GtCO2 over the course of this century and more thereafter (medium confidence). Depending on assumptions, the total budget could be reduced by 100 GtCO2 to as little as 470 GtCO2 (or 62 tonnes CO2 each when divided by the current world population). As SR15 says, global emissions are now 42 GtCO2, exhausting the remaining carbon budget in just under 12 years. In the case of our upper estimate of the extra Earth system forcings, this corresponds to around a 350 GtCO2 budget reduction for a 1.5°C limit and around a 500 GtCO2 reduction for 2°C. I started this piece after Professor Richard Betts kindly responded to a question I asked on Twitter. He was supportive of the Lowe & Bernie paper. They incorporate a wide range of additional feedbacks, some of which enhance and some of which reduce future emissions and resulting warming. They find that including these additional feedbacks results in a “well below” 1.5C carbon budget of between -192GtCO2 and 243GtCO2, with a best estimate of 67GtCO2. A carbon budget of below zero indicates that existing emissions already commit us to a greater than 33% chance of 1.5C warming or more by the end of the century and that more emissions would have to be removed from the atmosphere than emitted to meet the target. 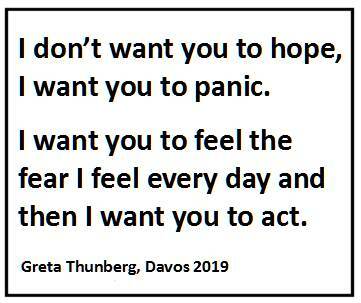 I have not yet been able to match up this quote with the actual paper, The impact of Earth system feedbacks on carbon budgets and climate response. Depressing, more work to do. At least this has made me look at the Supplementary Material to SR15 to see if anyone is testing the claim that the lifestyles of motorists are not compatible with continued life on Earth. There seem to be lots of Integrated Assessment Models to test what actions can be taken to fend off disaster. Haven’t spotted one that models going car-free soon.